German rigid industrial packaging firm Mauser Group has introduced new skINliner barrier technology for intermediate bulk container (IBC) and rigid plastic packaging applications. 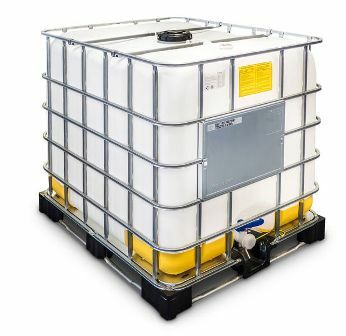 The new skINliner can be applied as an inner skin to the IBC’s inner receptacle, when placed in a rigid composite IBC. It can be semi-permanently fixed to the inside of the rigid bottle, enabling to avoid intensive mechanical stress during filling, handling and emptying of RIBCs. Same principle will be applied to other packaging types such as plastic drums. According to the company, the skINliner barrier technology has secured UN-approval for dangerous goods. The skINliner barrier will offer same functionality with less material compared to blow-molded multi-layer EVOH-barrier IBC bottles. The new technology enables to customize advanced features such as barrier functionality or light protection within standard industrial packaging in an effective manner. It will help to protect the contained material and prevent migration of substances to the container wall, when placed inside of the container and close to the filling. Mauser Group innovation and processing head Dr Detlev Weyrauch said: “To date, the integration of flexible liner solutions into rigid industrial packaging and their separation after use has been quite cumbersome. Image: The skINliner barrier technology will be used for IBC and rigid plastic packaging applications. Photo: courtesy of MAUSER.